Between 12 and 15 students are admitted each year. A scholarship covers the costs of tuition, room, and board for every student offered admission. 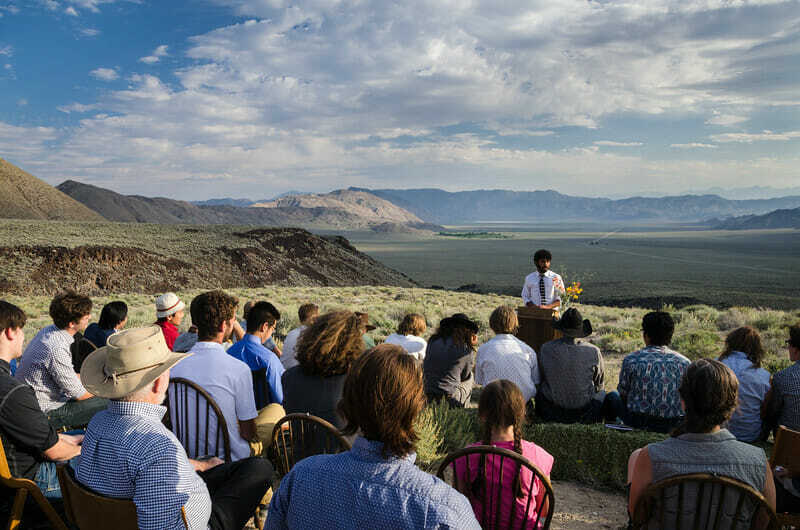 In exchange, Deep Springs students are expected to dedicate themselves to lives of service to humanity. Alumni have gone on to exemplify this ideal in a wide variety of fields, including politics, science, journalism, academics, agriculture, medicine, law, business and design. Most academic classes have fewer than eight students and require a high level of student participation, generally in seminar-style discussion. Professors are attracted by the highly motivated students and the close intellectual relationships that can be formed in such a setting. Topics range throughout the humanities, social sciences, and natural sciences. Credit from the two-year program can be used to earn an Associate’s of Arts or transferred toward pursuit of a Bachelor’s at another institution. The Student Body, which fluctuates between 24 and 30 members, is responsible for deciding admissions, hiring faculty, reviewing student performance, and many other aspects of running the college. For a look at how Deep Springs is described by others, check out the media links at our Publications page. The Deep Springs Student Body has been all-male since the college’s founding. In 2011, the college’s board of trustees voted 10-2 to begin admitting women as students. The dissenting trustees’ legal filings to block coeducation at the college came to an end in June of 2017 when the California Supreme Court denied their appeal of a lower court’s ruling to permit admission of women. Subsequently, the college has now opened applications for admission of women alongside men for the class entering in summer of 2018.